If you've noticed a leak and need a roof repair, or if you are looking to install a brand new roof somewhere on your home, you should think about calling us. 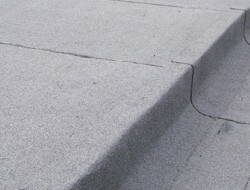 We're the area's specialist roofing firm. Why not let us give you a free estimate, whatever the size of the job? We'll visit your home, identify what you need doing then offer you and affordable quotation. As soon as you're happy, our roofing experts will be on the task. We're reliable and fair roofers covering Braunstone, Glenfield, New Parks, Leicester Forest East and Westcotes, simply call us on 0116 316 9544. We want to give the highest levels of service available – from making sure we use the very best materials, through to being respectful and reliable! You can have confidence in us because of our extensive industry knowledge and experience. Give us a call straight away and we'll let you know why we're the best roofing contractor for you.